iPad has become not only personal necessary but also commercial equipment. Many companies applied a bulk of iPad to optimize their services. 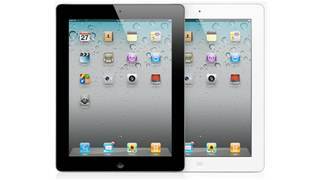 Those iPads are very costly and therefore the security is very important. HK-RFID now introduces a new RFID technology, EmpressTM active RFID system (HKRAT-ET01), for tracking your on-load iPad. HKJC offered iPad for their premium customers in order to further improve customer experience in using their mobile betting services. To tracking those iPads, HKJC has adopted our new TrackCase system. The system allows the HKJC to locate iPad within a specific area immediately. It can help HKJC to optimize their premium service and asset management system. HKRAT-ET01 is a unique book tablet case designed specifically for iPad, featuring new alert and tracking function. 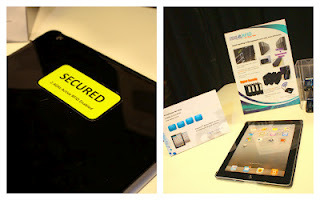 In any iPad on-loan events, the unique tamperproof feature can alert you once the case was re-moved or lost wireless connection with EmpressTM readers, which installed within the company’s premises. The case is independent of the iPad’s Wi-Fi or Bluetooth; this feature will strengthen the security protection of the iPad. Moreover, the battery of iPad Case can last for 5 years. HKRAT-ET01 is compatible with all existing EmpressTM RFID systems, more choice of readers are available to set the network. For users who have adopted EmpressTM system, cost can be significantly saved of using this new product. The reading distance of antenna which is flexible depending on the real situation and it can be adjusted to maximum 50m radius. The long reading distance and reduce the restriction of iPad’s mobility. Customers can still enjoy their mobile device within a large reading zone. Module can be provided alone to customers. They can tailor-made their case for their own purpose. With proprietary protocol to enhance security, controller for alarm, Trackcase is your first choice for protecting your tablet.